The thermosetting resins include phenolic resin and melamine resin, which is thermally hardened and never become soft again. Thermoplastic resins include PVC, polyethene (PE), polystyrene (PS) and polypropylene (PP), which can be re-softened by heating. Usually, thermoplastics are supplied in the form of pelletized material (compounds) with additives (antioxidants, etc.) already blended in it. However, PVC resin is often supplied in powder form and long-term storage is possible since the material is resistant to oxidation and degradation. Various additives and pigments are added to PVC during the processing stage, and the blend is then converted into PVC products. PVC is a thermoplastic made of 57% chlorine (derived from industrial grade salt) and 43% carbon (derived predominantly from oil/gas via ethylene). It is less dependent than other polymers on crude oil or natural gas, which are nonrenewable, and hence can be regarded as a natural resource saving plastic, in contrast to plastics such as PE, PP, PET and PS, which are totally dependent on oil or gas. This chlorine gives to PVC excellent fire resistance. CJan- PVC hose supplier committed to supplying high quality, safe and reliable food grade plastic tubing that meet multiple industry’s demands. 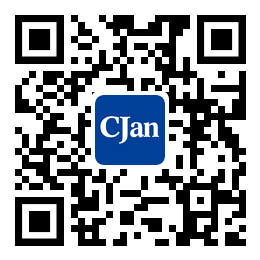 CJAN offers several types of PVC hoses, such as steel wire reinforced clear PVC tubing, fibre reinforces PVC tubing. They are used to discharge water, oil, gas, food and so on. 1. Light, soft and easy for moving. 3. Meet Food standard. They can be used in food areas also. 4. Clear, Visual. You can see the fluid inside.